Auditions - Sing Cast. Shake It Off - Nick Kroll, Reese Witherspoon. Faith - Stevie Wonder, Ariana Grande. I Don't Wanna - Scarlett Johansson, Beck Bennett. I'm Still Standing - Taron Egerton. Don't You Worry 'Bout A Thing - Tori Kelly. 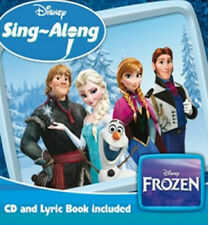 Various Artists : Frozen: Disney Sing-along CD (2014)Title: Frozen: Disney Sing-along Artist: Various Artists Genre: Other|Karaoke Format: CD / Album Type: CD No. 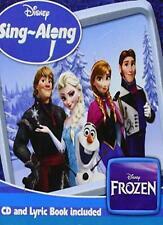 Disc 1 1 Do You Want to Build a Snowman?. Zoom > Kidz Bop 2019 - Kidz Bop Kids (Album) [CD]. 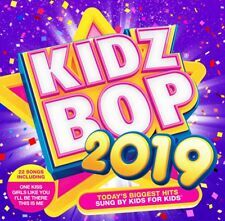 Product Kidz Bop 2019 - Kidz Bop Kids (Album) [CD]. One Kiss - Kidz Bop Kids (3.12). Paradise - Kidz Bop Kids (3.09). No Tears Left to Cry - Kidz Bop Kids (3.09). Of Discs: 1 disc(s) Studio / Label: Crimson UK Release Date: 01 May 2000. Disc 1 6 Tin Soldier 3.23 mins. Disc 1 10 Eve of Destruction 3.34 mins. Disc 1 1 I Got You (I Feel Good) 2.49 mins. Disc 1 4 White Rabbit 2.34 mins. Various Artists - Ultimate Dirty Dancing [Special Edition]. Title:Various Artists - Ultimate Dirty Dancing [Special Edition]. Artist:Various Artists. Your item will be previously owned but still in great condition. Various Artists : 100 Hits - Kids CD (2008)Title: 100 Hits - Kids Artist: Various Artists Genre: Rock/Pop|Compilation Format: CD / Album Type: CD No. of Discs: 5 disc(s) Studio / Label: DMG TV UK Release Date: 28 Jul 2008. Of Discs: 1 disc(s) Studio / Label: Disney UK Release Date: 31 Jul 2015. 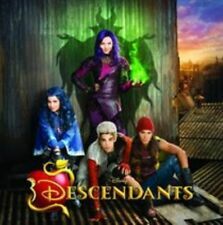 Disc 1 13 Descendants Score Suite. Disc 1 12 I'm Your Girl. Disc 1 11 Good Is the New Bad. Disc 1 10 Night Is Young. Disc 1 9 Rotten to the Core. Now That's What I Call Disney Princess ‎(2xCD). Reflection (Mulan). If You Can Dream (Disney Princess). Happy Working Song (Enchanted). With A Smile and A Song (Snow White). I'm Wishing-One Song (Snow White). Diplo Feat. Céline Dion Ashes 3:20. Tyler Bates Mutant Convoy 3:59. Alicia Morton Tomorrow 2:31. Pat Benatar We Belong 3:42. Dolly Parton 9 To 5 2:45. Disc 1 2 Spread Your Love. Disc 1 17 Sit Down. Disc 1 11 God Gave Rock 'N' Roll to You. Disc 1 10 One Step Beyond. Disc 2 9 You're the Voice. Disc 2 6 Let Your Love Flow. Disc 1 9 One Way Or Another. Disc 2 8 Missing You (Single Version). Of Discs: 1 disc(s) Studio / Label: Beggars Banquet UK Release Date: 21 Apr 1997. Disc 1 10 Get On It 5.57 mins. Disc 1 9 Only Teethin' 5.20 mins. Disc 1 8 How High 3.06 mins. Disc 1 7 Area 51 3.37 mins. Your item will be previously owned but still in great condition. The disc will play perfectly without interruption and the case, inlay notes and sleeve may show limited signs of wear. Can't find what you're looking for?. Of Discs: 1 disc(s) Studio / Label: Warner Bros Records UK Release Date: 28 Oct 1996. Disc 1 1 Requiem for Evita 4.17 mins. Disc 1 4 Eva and Magaldi/Eva Beware of the City 5.21 mins. Disc 1 14 And the Money Kept Rolling In (And Out) 3.48 mins. Black Veil Brides - Wretched & Divine: Story Of The Wild Ones. Title:Black Veil Brides - Wretched & Divine: Story Of The Wild Ones. Artist:Black Veil Brides. Can't find what you're looking for?. Your item will be previously owned but still in great condition. Artist Oasis Title (Whats the Story) Morning Glory Release Date 1995-10-02 Label: EMI Records Number of Discs 1. Of Discs: 2 disc(s) Studio / Label: Sony Music CMG UK Release Date: 16 Sep 2016. Disc 2 15 Adam's Love Song 0.30 mins. Disc 2 13 Less Than Three 2.57 mins. Disc 2 12 Night Bus 3.34 mins. Disc 2 9 Lionhearted 4.30 mins. 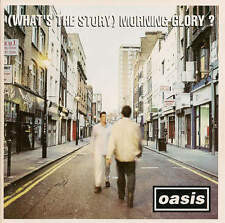 Artist Oasis Title Whats the Story Morning Glory Release Date 1995-10-03 Label: EMI Records Number of Discs 1. 1 10 Morning Glory. 1 12 Champagne Supernova. 1 11 Untitled. 1 9 Shes Electric. 1 8 Cast No Shadow. Of Discs: 1 disc(s) Studio / Label: Reprise UK Release Date: 16 Mar 1992. Disc 1 4 Dream Weaver 4.26 mins. Disc 1 13 Why You Wanna Break My Heart 3.33 mins. Disc 1 3 Rock Candy 5.04 mins. Disc 1 2 Hot and Bothered 4.17 mins. 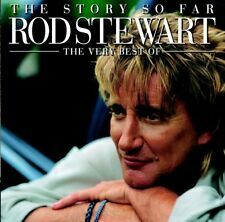 Richard, Cliff - The Whole Story: His Greatest Hits. Title:Richard, Cliff - The Whole Story: His Greatest Hits. Artist:Richard, Cliff. All of our paper waste is recycled within the UK and turned into corrugated cardboard. Of Discs: 1 disc(s) Studio / Label: Columbia UK Release Date: 25 May 2015. Disc 1 8 Shake Down 3.26 mins. Disc 1 8 Shake Down (Feat. Mary J. Blige & Terrence Howard) 3.26 mins. Disc 1 9 Power of the Empire 3.16 mins. Various Artists : Phineas and Ferb CD (2009)Title: Phineas and Ferb Artist: Various Artists Genre: Rock/Pop|Compilation Format: CD / Album Type: CD No. 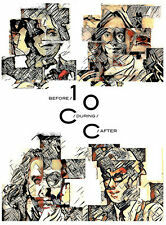 of Discs: 1 disc(s) Studio / Label: EMI Gold UK Release Date: 12 Oct 2009. Hello, Pinkfong. See You Again, Pinkfong. Baby Shark. Halloween Shark. Baby Shark Dance (Remix). Good Morning Song. The Penguin Dance. Tyrannosaurus - Rex. It’s theperfect gift for your kids, nieces, nephews and grandkids. 22 pop songs sung by the incredible KIDZ BOP Kids, withclean versions of the lyrics to ensure that this is a safe, fun, family-friendly album of chart hits that your kids know and love. Empire Cast - Freedom 3:05. Empire Cast - Crown 3:11. Empire Cast - Look But Don't Touch 3:44. Empire Cast - All Nite [Yo Gotti Remix] 3:45. Empire Cast - Body Speak 2:11. Empire Cast - Got That Work 3:31. Of Discs: 2 disc(s) Studio / Label: Disney UK Release Date: 09 Jul 2007. Disc 1 7 One in a Million 3.55 mins. Disc 2 10 I Miss You 3.58 mins. Disc 2 9 Good and Broken 2.56 mins. Disc 2 8 Clear 3.03 mins.